Taking it all in under Neville’s Arch, deep in Owl Canyon. You can barely make out Christy (in red) beneath. 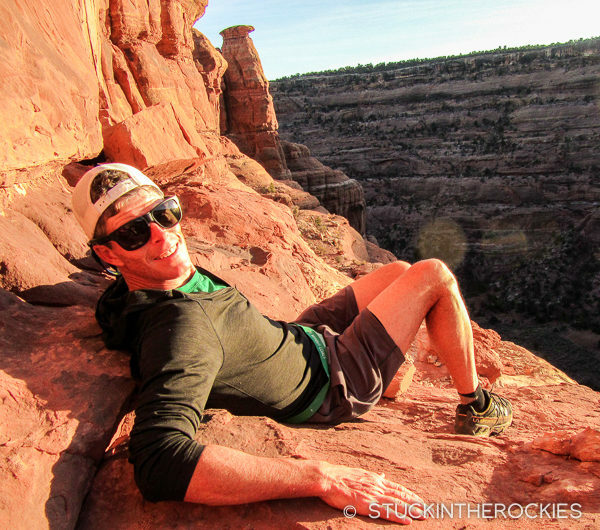 We recently made a trip to Fish and Owl Canyons down in Cedar Mesa. 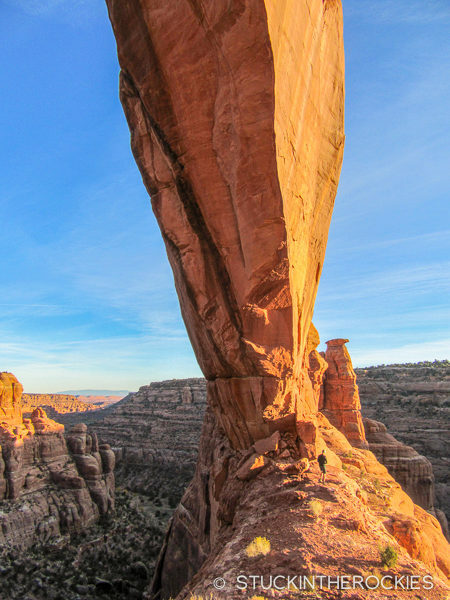 It’s a region of Southeastern Utah that’s home to canyons, mountains, forested mesas, impressive sandstone formations and considerable Native American history. Cedar Mesa also happens to lie entirely within the Bears Ears National Monument, the recently protected 1.4 million acre region of Utah that has been in the news a lot recently. 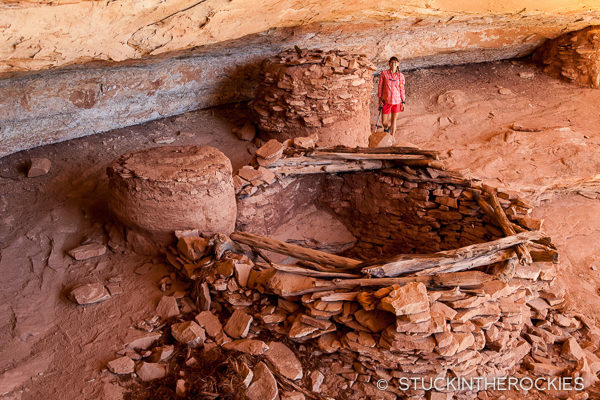 Five Native American tribes have ancestral ties to the region and there are literally thousands of historic sites containing Ancestral Puebloan ruins. Combined with the area’s natural beauty it’s not surprising this area was deemed valuable and worth protecting. 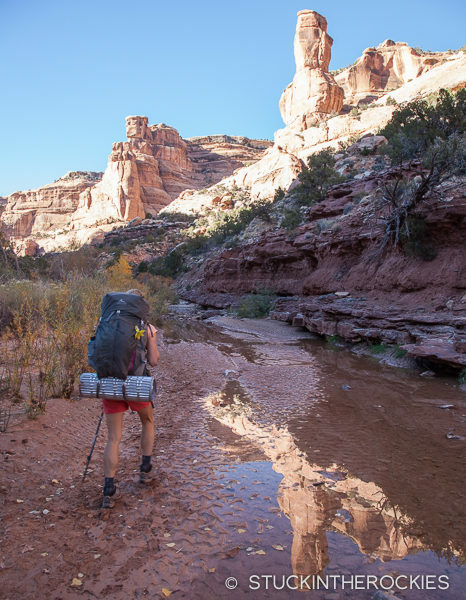 This largely uninhabited region of Utah has always been a popular destination with recreationalists and desert lovers alike. It’s a draw for its slot canyons, desert backpacking, and scenic drives. Hunters frequent the higher elevations of the Abajo Mountains, and OHV and ATV drivers love the the off-road trail options left over from the uranium prospecting that took place in the region decades ago. Amateur archaeologists and photographers looking to visit the historical sites snoop around its remote corners. 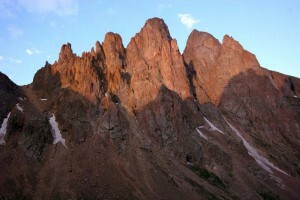 The new national monument also contains the famed Indian Creek region, a world class rock climbing destination. Unfortunately, the recent decision to preserve this beautiful and historically significant region is being reconsidered. An effort is underway led by the Secretary of the Interior and backed by the current administration to roll back the protections. Christy and I are not alone in saying it would be misguided to rescind the national monument designation. You need to go to Bears Ears to appreciate its significance. It’s not an environmentalist-led land grab. 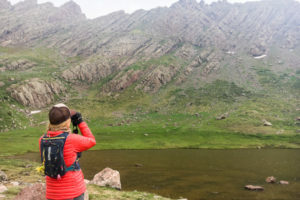 It’s an that area has been petitioned for protection by both ancestral tribes and conservation groups for a long time now, well before the designation last year. Parts of it have actually been under protection for many years. 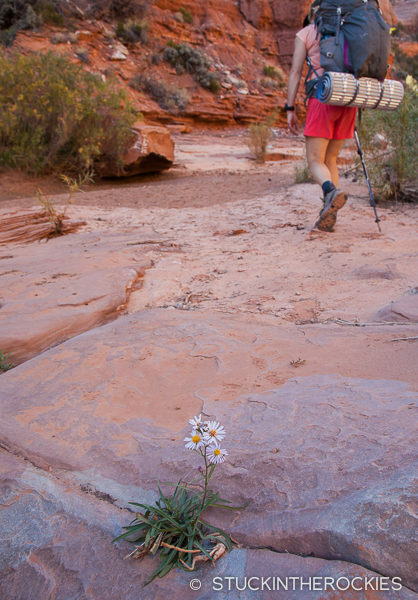 The Dark Canyon Wilderness area resides entirely within Bears Ears and was created back in 1984 with the support of a Republican President and Senate majority. It was different political environment back then I suppose. And way back in 1908, Teddy Roosevelt created Natural Bridges National Monument, also within the current Bears Ears boundary. 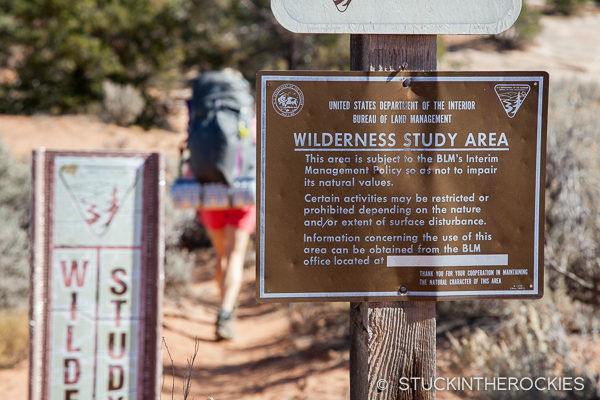 It was the first federally protected land in Utah. 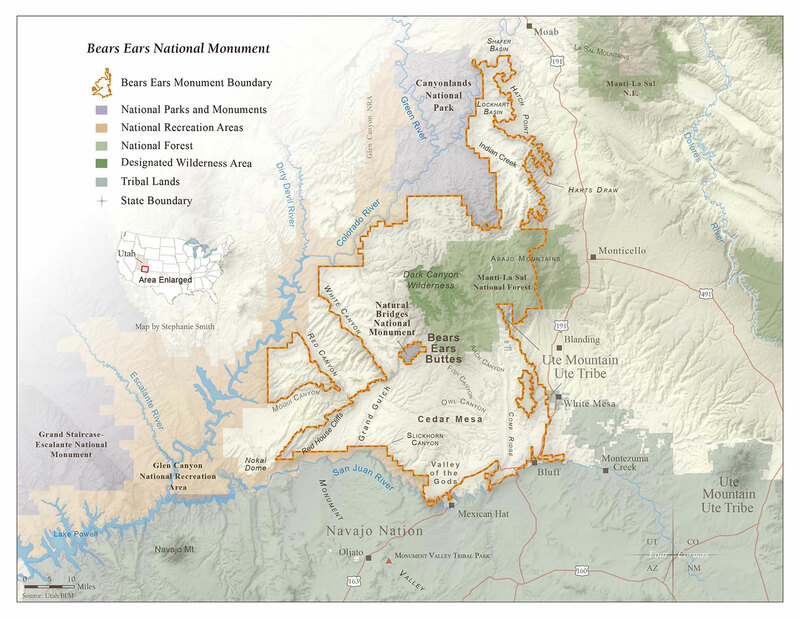 A map of the Bears Ears National Monument. Click to enlarge. We’ve explored the area through the years but it’s so big we can’t help but feel as though we’ve barely scratched the surface. Because it’s believed the designation will in fact be rolled back, we thought we would pay it another visit and share our experience. We had never backpacked the Fish and Owl canyons loop so that was our goal. Fish and Owl canyons are accessed from the Grand Gulch area of Cedar Mesa. 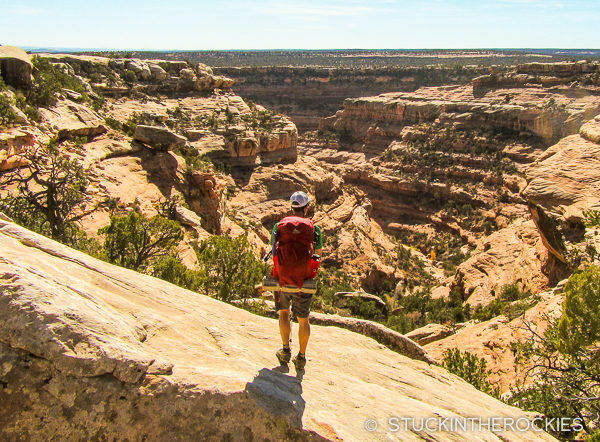 This 17 mile backpack loop combines two deep desert canyons, Fish Canyon, and Owl Canyon. A permit is required, and they cap the number of visitors to 20 people a day. You can take as much time as you want to cover the distance, many people opt to do the loop over two days with a single night camping. Since we wanted to have time to see the place and not feel rushed, we decided to spend two nights there. We picked up our permit at the Kane Gulch Ranger Station. Before they issue the permit you’re required to watch a 15 minute video on the area and Leave No Trace backpacking practices. Once we finished watching the video (which was a pretty cool overview of the Cedar Mesa) we headed to the trailhead and got started. Starting the hike. Like much of Cedar Mesa, Fish and Owl Canyons were already Wilderness Study Areas long before Bears Ears National Monument was created. These were the first ruins we encountered, they were in really good shape. There were petroglyphs on the ceiling of the undercut. We began by descending Owl Canyon and within 20 minutes we came upon our first set of ancient ruins. It was a cool introduction to the excursion. The ruins were under a massive sandstone undercut with some petroglyphs on the wall. After a stop to look it all over we continued further down the canyon. 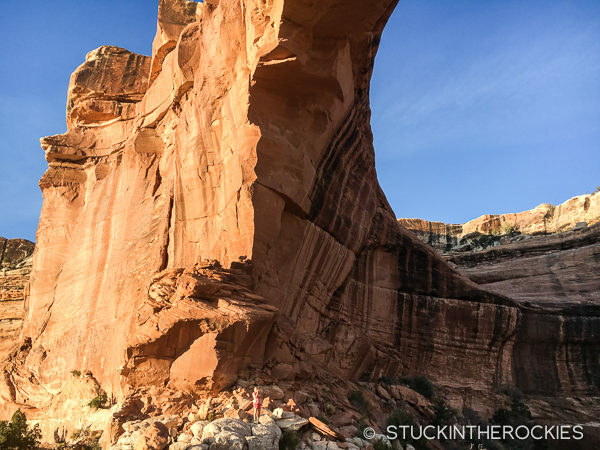 We hiked through the sunny afternoon until we reached a wide area below Neville’s Arch. It was a gorgeous backdrop and seemed like a perfect place to set up camp. The canyon walls were a few hundred feet high. 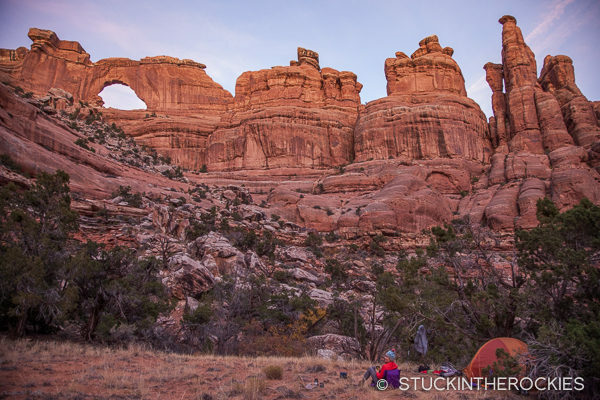 We reached Neville’s Arch in a wide section of the canyon and decided it would be a good place to camp for the night. Before we got too comfortable we made a twenty minute hike up to the arch itself. It was a stunning setting to take in the beauty of Owl Canyon as the sun set and ponder the history of the place. This canyon, and Fish Canyon (where we would explore tomorrow), were populated by early generations of Native Americans some 750 to 1200 years ago. It’s worth the trip up to the arch. Taking in the last bit of afternoon sun. It’s a big one for sure. 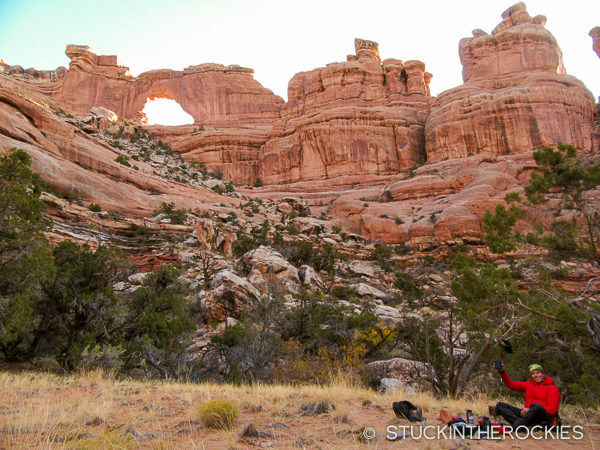 After sometime up under the arch we went back to the canyon floor and setup camp for the night. Camp, after the sun had set. 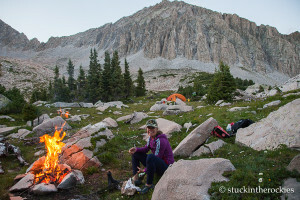 The following morning, after sleeping in, we broke camp and made our way down to the confluence of Owl and Fish. We started up Fish Creek, again taking our time to look around since we had another night to spend and we weren’t in any rush. By late afternoon we had made it up to the confluence with Upper Fish Canyon and our exit canyon, and found a really cool bench above the creek wash where we set up for the night. 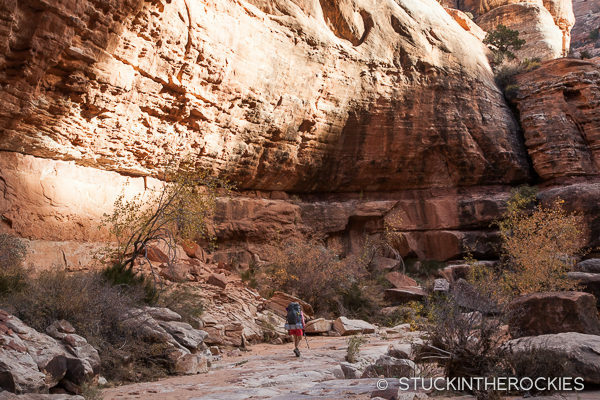 The next morning we made our way to the confluence of Owl and Fish and began hiking up Fish Canyon. The desert fall colors were electric in places. Fish Canyon had a little bit of a different feel. For one thing, there was more water. Some if it reflected the desert towers in really cool ways. Our camp on the second night, a a big bend in the creek and right above an active beaver dam. We could hear the beaver’s working on their home all night. It was another beautiful night of camping followed by a perfect morning. We packed up and hiked a short way until we reached the exit trail that climbed up and out of Fish Canyon. From there, a 1.5 mile hike across the plateau brought us back to the trailhead. We didn’t run into a single other person in the 3 days we were there. Incredible. 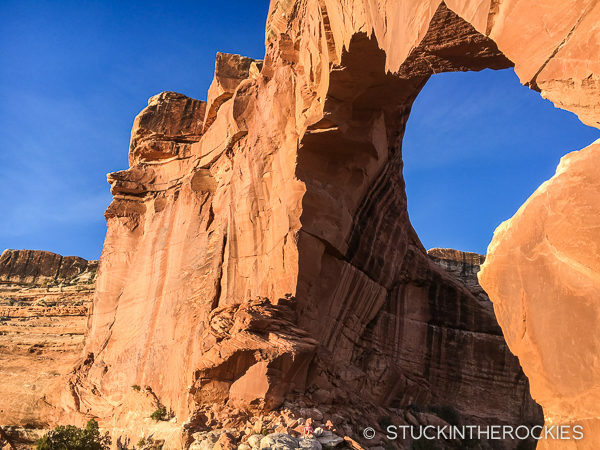 Fish and Owl canyons are just two of the countless beautiful places in the Bears Ears National Monument that are worth visiting. They’re also worth protecting. It’s a little known fact that four of Utah’s five famous national parks were first designated as national monuments. The foresight to protect those places goes unquestioned today. 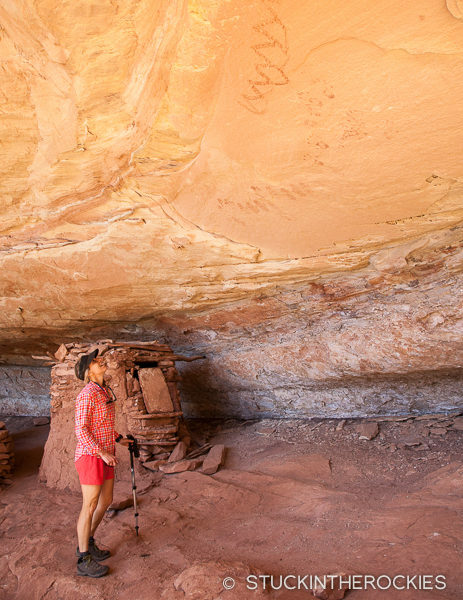 We believe the national monument designation of the Bears Ears is equally visionary. Recent reports claim that over 97% of the public comments received on a survey by the Interior Department speak in favor of protection. Hopefully someone is listening. This place was amazing! 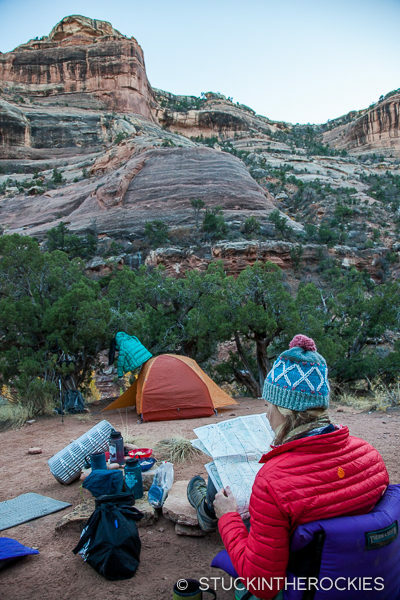 Great campsites, ruins and American history, and full of fascinating ecological learning. 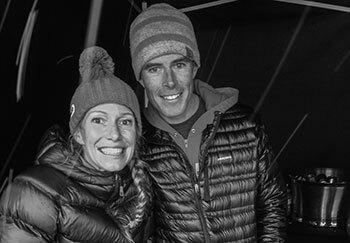 Would be amazing for families as well…At the end I felt like I was climbing out of a rejuvenating worm hole! Wow, these photos are amazing! Thanks for sharing.